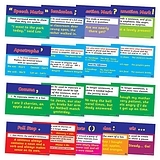 This set of 17 A4 posters is perfect for helping your pupils when they are learning how to use punctuation. 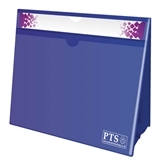 They are perfect for creating a bright and educational classroom display. This pack includes the following posters: Full Stop (2 posters), Exclamation Mark, Question Mark, Apostrophe (4 posters), Comma (4 posters), Colon, Semi Colon, Brackets, Speech Marks, Ellipsis.